While trekking from village to village in Central Burma, we were welcomed in each village with a small greeting committee with music and gongs ringing the good news that the foreigners had arrived. 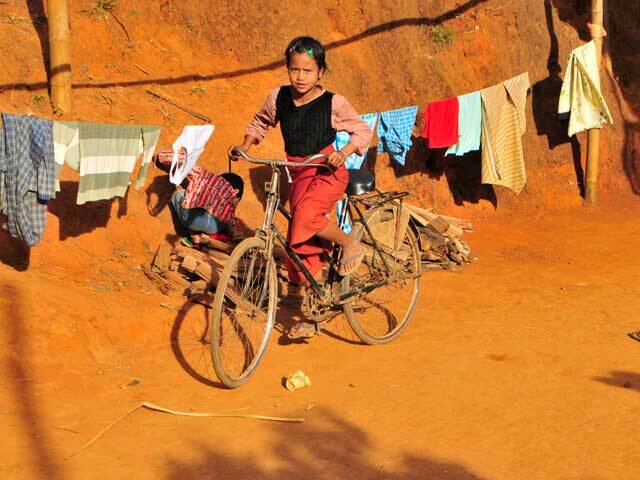 As we left the village in the early afternoon, the light lit up the red dirt and this young girl who was riding in circles in a small courtyard. She was showing us that she could ride well.